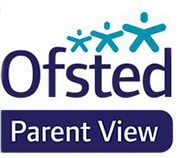 Role on Board: I became a parent governor in October 2018. Professional skills/background: I’m an Accountant by profession and in my twenty-year career to date I’ve enjoyed a lot of success, working at the London offices of various global British, European and American banks. I’m also a great believer in continuous education and at present I’m participating in the prestigious Chartered Financial Analyst programme. Interest in being a governor: My son attended Bridgewater and then went on to enjoy a great life at Aylesbury Grammar. Bridgewater prepared him very well for the life ahead and he has fond memories of his old school. My daughter now attends Bridgewater where she is very happy and always looks forward to another day with her teachers and friends. I feel proud to be associated with Bridgewater and I would like to share my skills with the school and help the staff do their very best for all the children.